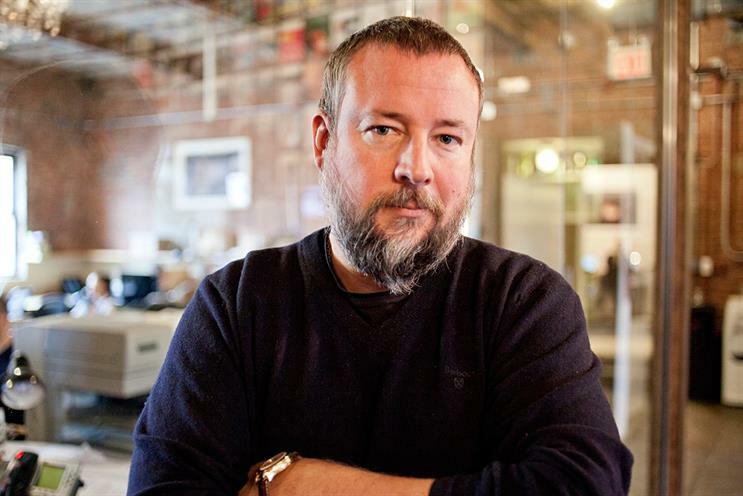 Snapchat stands to win big from an advertising industry desperate for an alternative to the "duopoly" of Facebook and Google, Vice Media chief executive Shane Smith has said. Smith was in conversation with Sir Martin Sorrell in front of an audience at Dmexco. Sorrell’s WPP is one of a number of major media companies to have invested in Vice, along with Disney and Time Warner. The slightly meandering discussion touched on a number of subjects, including Sorrell’s initial scepticism about Vice, but both men became the most animated when talking about the overwhelming power of the two big online players. "I think Snapchat is necessary as an antithesis to the hegemonic power of Facebook – it just has to be there," said Smith. "And because it has to be there, they’re gonna get a lot of support from brands, and from content providers. Snapchat I see tremendous growth for." He was also enthusiastic about the prospects of AOL/Yahoo – which could potentially merge their sales houses under the ownership of Verizon – and which Sorrell suggested as an alternative "third force" in online ads. "Tim [Armstrong, AOL CEO]’s a really smart guy, Yahoo was floundering and he’s going to take that and do something interesting with it," Smith said. Smith also predicted that the next few years would see significant consolidation in both traditional media and digital media companies – an outcome he warned could have serious consequences. "You already have two powers controlling 75% of the [online advertising] market," he said. "Then you have a further consolidation happening in television and mainstream media, and a lot of smaller companies getting pushed to the wayside. "You’re coming to this thing where you’re going to have massive power in the hands of very few companies, and that is something to be worried about." Last month, Smith told media owners they needed to change or risk alienating young people, when he delivered the MacTaggart Lecture at Edinburgh Television Festival.